Before I go to bed at night, I remind myself of my earthquake plan. I’ve arranged my clothes, shoes, flashlight and video camera in a convenient pile next to the bed. When the temblor wakes me, I’ll sweep the pile into my arms and rush to the courtyard, near the empty swimming pool. I’ll turn on the camera before I put on my pants. After all, I’m not in Brooklyn this week, I’m in Haiti, where aftershocks can still wreak havoc, and the people fear another Big One could happen any day. The section of the hotel where I’m staying survived the major quake. 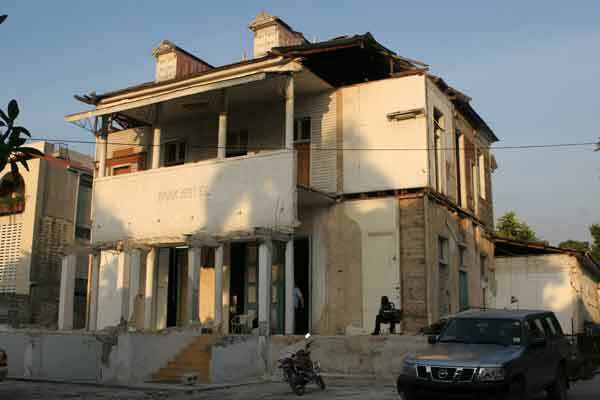 But the Park Hotel in Port-au-Prince has seen better days. 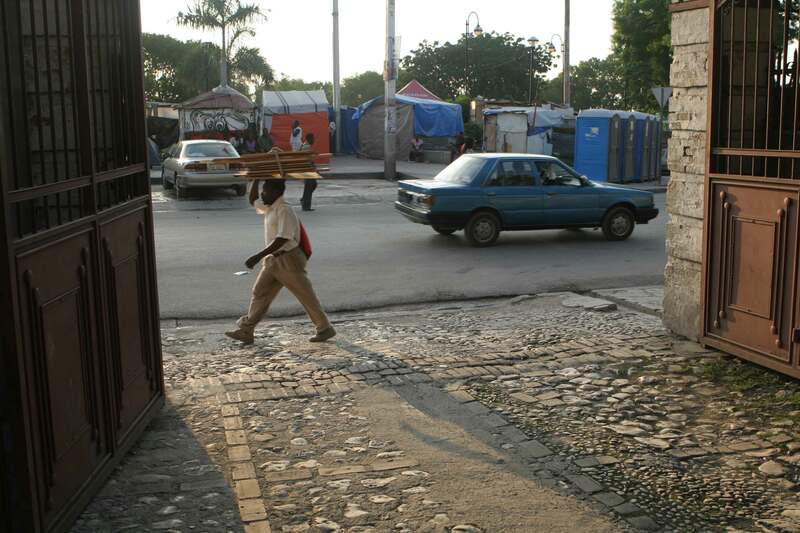 Tucked away in an alley from a main road, just across from a tent city, where thousands have made their home after losing theirs in the devastating January 12 earthquake, the hotel stands, like many Haitians, resolved to survive. 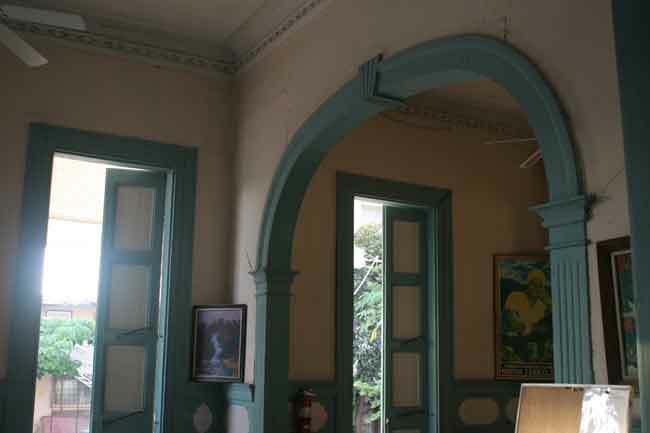 The old building, with its French colonial touches, still stands, but the two concrete additions on the front – rooms 1 & 2 – crumbled away in the quake. Rebar pokes from the front columns like rotting teeth on the facade. 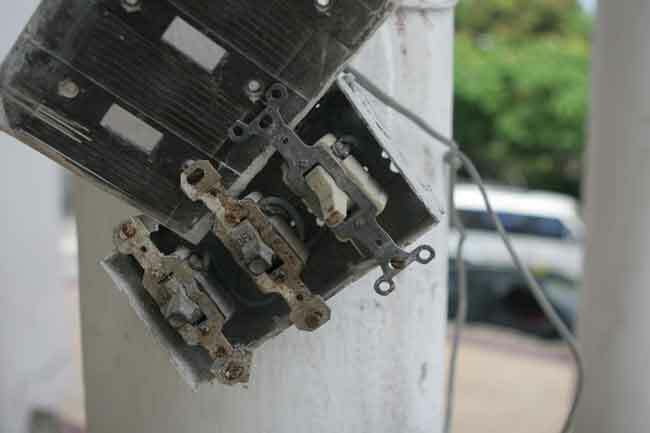 Pieces of stucco fall off occasionally from the columns, and they’re quickly swept away by hotel staff. But my room is in the back, among a cluster of one-story rooms by the empty swimming pool. It is clean and undamaged (except for a painting on the wall that won’t stay straight no matter how many times I move it). There’s hot water, and electricity from 6 pm to midnight. Much more than I expected. And certainly more than the people I’ve been visiting each day here have. The million and a half living in tents and tarpaulins, roasting during the day and fearful at night of the storms that sweep through as the rainy season approaches. They barely have shelter and drinking water, let alone water to bathe in or adequate food. 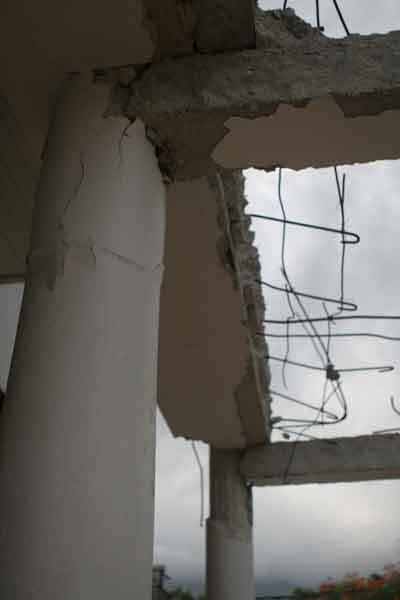 Before the quake, Haiti was already the poorest country in the western hemisphere. Now it seems like the unluckiest place on earth. There’s no way with my little video camera to capture the enormity of the devastation here. My only hope is to convey the spirit of the people, and some of the goodness that emerges from – and in spite of – the thousands of acres of rubble.